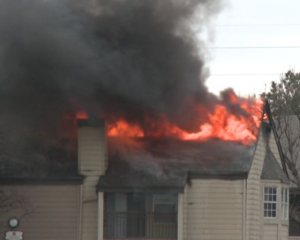 Just after 3:30p.m., fire crews responded to the Aspen Park Apartments, 8405 West Central in Wichita, according to Captain Kelly Zane with the Wichita Fire Department. Someone discarded a cigarette on a 2nd story deck, according to Zane. The fire caused $1.5 million dollars in damage. Sixteen apartments are uninhabitable. Authorities reported no injuries.